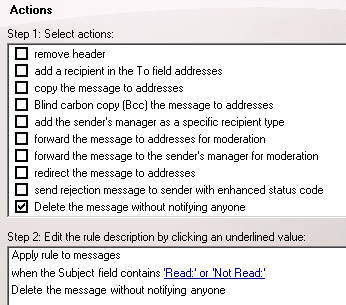 There is no method to modify this setting of the Microsoft Outlook, we need to use transport rules to delete the auto-reply email. 1. At Hub-Transport server, login as Domain Administrator. 2. Launch EMC, expand “Organization Configuration > Hub Transport”. 4. 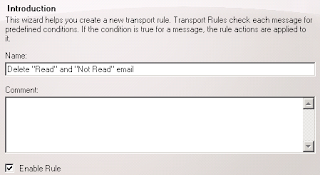 Click “New Transport Rule”. 5. 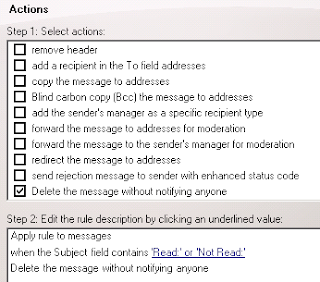 Under “Name”, type “Delete "Read" and "Not Read" email”. 7. 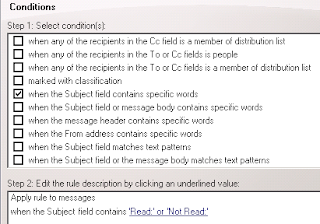 Check “when the Subject field contains specific words”. 8. Next to “Step 2: Edit the description by checking an undefined value”, click “specific words”. 9. 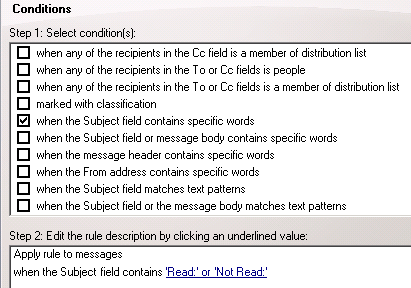 Add “Read:” and “Not Read:”. 12. 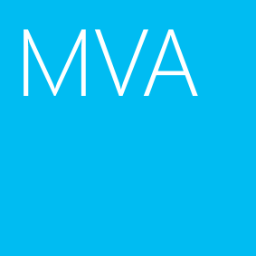 Check “Delete the message without notifying anyone”. 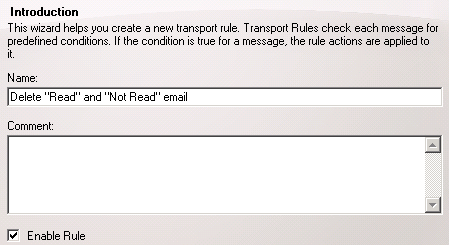 Now, the “Not read” email is deleted by the Transport Rules.